The Villanova Wildcats were the consensus best team in men’s college basketball ahead of Monday night’s NCAA national championship game, and coach Jay Wright’s squad left few to any doubters after easily taking care of business against the Michigan Wolverines 79-62. 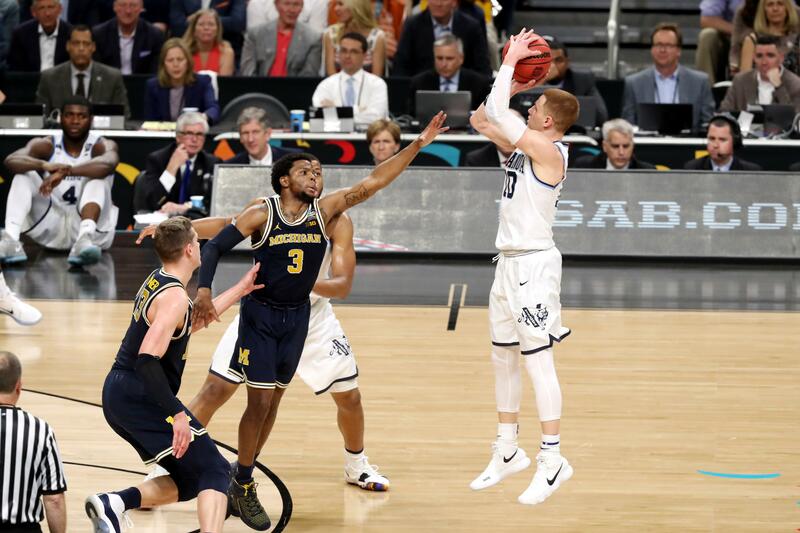 After trailing early, Donte DiVincenzo came off the bench and ignited an inferno. The sophomore went on a scoring rampage, finishing the game with 31 points (a title game scoring record for a non-starter). 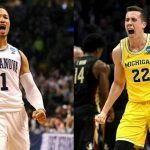 ‘Nova won each of its six March Madness games by at least a dozen points and dominated its two Final Four opponents by 16 and 17 points. Heading into Monday’s finale against #3 Michigan, the Wildcats were favored by seven points at most Las Vegas sportsbooks. It was a spread far too small, as Villanova more than doubled to win their second national championship in three years. Michigan wasn’t the only losers Monday night. CG Technology, which operates sportsbooks at numerous Las Vegas casinos including The Venetian and Palazzo, Cosmopolitan, and Palms, said it took 3.6 times more money on the favorite than the underdog, and nearly two times the total bets. The Westgate SuperBook said it printed roughly two times the number of ticket slips on the Wildcats than the Wolverines, but said money was relatively split. Caesars Palace said its money was also rather evenly divided among the two teams. William Hill said it took a $500,000 moneyline bet on Michigan at +290 before the game. The losing gamble would have returned a $1.45 million profit. No one was rooting more for Michigan than alumnus Derek Stevens. The D Casino owner placed a $25,000 bet on the Wolverines winning it all before the First Round, a ticket that would have paid $1 million. Prior to tip-off Monday night, the flamboyant downtown casino owner hedged his bet by placing a $330,000 wager on Villanova that netted $100,000. The hedge was placed at William Hill, while the $25,000 wager was taken by fellow downtown casino owner Tilman Fertitta’s Golden Nugget. Though Michigan’s loss made him $900,000 short late Monday night, Stevens still came out on top in 2018 March Madness. He pocketed $16,000 after going 17-14-2 on 33 $11,000 First Round wagers. 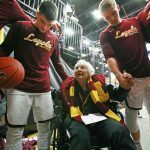 With his hedge bets loss factored in on Loyola Chicago (a $52,000 wager on the Cinderella when they played Michigan), Stevens’ betting bottom line for the NCAA tourney was a $39,000 gain. With the 2018 college basketball season in the books, oddsmakers are looking to next year and taking futures. And despite Villanova’s prowess, they won’t enter the offseason as the 2018-19 team to beat. That honor instead goes to the Duke Blue Devils at 5/1, a youth-filled team that lost to Kansas in overtime in the Elite Eight. Villanova is next at 8/1 along with Kansas and Kentucky. North Carolina, the 2017 NCAA title winners, round out the top five at 12/1. Michigan opens at 20/1. As for the 2018 Cinderella feel-good story, the Final Four Loyola Chicago Ramblers are at 500/1 to win the national championship.